Designed as a preventative maintenance solution for the oil and gas industry, the GF320 Optical Gas Imaging (OGI) camera from FLIR Systems provides an easy-to-use tool for spotting leaks in tanks, pipelines and facilities. 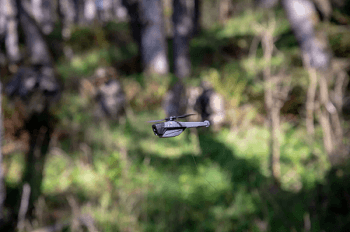 As a result the camera improves safety and profitability as well as minimizing emissions with less risk of business interruption due to actions from regulatory agencies. Capable of rapidly scanning large areas and miles of piping, FLIR's GF320 OGI camera finds gas leaks fast. Optical gas imaging using the GF320 offers a number of benefits compared to traditional "sniffers" because the camera scans a broader area much more rapidly and is able to remotely monitor areas that are difficult to reach with contact measurement tools. 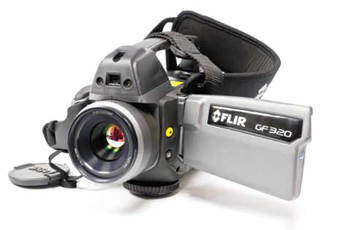 The GF320 camera produces a full picture of the scanned area and leaks appear as a plume of vapour on the camera's viewfinder or LCD, allowing the user to see fugitive gas emissions. The image is viewed in real time and can be recorded in the camera for easy archiving. To read application stories describing how the Oil and Gas industry depends on thermography to avoid costly and dangerous emissions please visit www.flir.com/cs/emea/en/view/?id=42236. For further information please contact FLIR Systems at [email protected] / +32-3665-5100 +32-3665-5100. Pioneers in all aspects of infrared technology, FLIR designs, manufactures, and supports thermal imaging systems and subsystems for industrial, scientific, governmental, commercial, and fire fighting applications. With a 40-year history of infrared innovation, over 100,000 systems in use worldwide, and development centres and sales offices in over 60 countries, FLIR is the world leader in thermal imaging technology.